A life-extending treatment for some adults with advanced liver cancer has been recommended for use on the NHS by NICE after a rapid review of guidance published earlier in the year. People must also have an Eastern Cooperative Oncology Group (ECOG) performance status of 0 or 1, which means they are fully active and able to carry out normal activities of daily life without restriction, or they are restricted in physically strenuous activity but able to carry out work of a light or sedentary nature. Meindert Boysen, director for the NICE Centre for Health Technology Evaluation, yesterday said: “Regorafenib is an important treatment option to extend the lives of people with previously treated advanced hepatocellular carcinoma after they’ve already been prescribed sorafenib. Judi Rhys, chief executive of the British Liver Trust, yesterday said: "Hepatocellular carcinoma (HCC) is the most common form of liver cancer. It is particularly aggressive with the 5-year survival rate being on average only 12% and a diagnosis is therefore devastating for the patient and their families. Regorafenib will benefit a few hundred patients each year after the positive recommendation made by NICE’s independent appraisal committee. When NICE was first asked to look at the drug in March 2018, the most plausible cost-effectiveness estimates were higher than those NICE normally considers an acceptable use of NHS resources for end-of-life treatments and therefore it was not recommended. However, after considering a new commercial arrangement which makes regorafenib available to the NHS with a confidential discount, NICE has concluded the drug now meets its criteria for being a cost-effective end of life treatment. Patients take four regorafenib tablets daily for three weeks, followed by one week without taking any. This is considered one treatment cycle. The cost of regorafenib per treatment cycle without the confidential price cut is £3,744. The drug works by slowing down the growth and spread of cancer cells by cutting off the blood supply that keeps cancer cells growing. Clinical trial evidence from people who have liver cancer that has been treated with sorafenib, and who have good performance status and less severe liver impairment shows that people having regorafenib live longer than people having best supportive care. It is more common in men than in women. 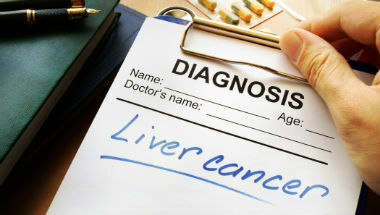 The risk of developing liver cancer gets higher as we get older.